AT&T's path to 5G is driven by the growth of data on the network, which currently exceeds 220 petabytes of data per day, and new applications said company CTO Andre Fuetsch, speaking at the AT&T's Spark event in San Francisco. The data tsunami is accelerating and AT&T's is showcasing applications such as e-gaming, augmented reality, virtual reality, IoT sensors, and smart cities. Fuetsch announced an expansion of its 5G rollout to additional cities, promising the first commercial 5G mobile offering in a dozen U.S. cities by the end of this year, and 19 total U.S. cities by the end of this year. The five additional cities for 2018 are Houston, Jacksonville, Louisville, New Orleans, and San Antonio -adding to previously announced deployments underway in Atlanta, Charlotte, Dallas, Indianapolis, Oklahoma City, Raleigh, and Waco. The 2019 expansion will add Las Vegas, Los Angeles, Nashville, Orlando, San Diego, San Francisco, and San Jose. AT&T's 5G suppliers include Ericsson, Nokia, and Samsung. The early 5G cities are deploying 3GPP Release 15 compliant equipment. Fuetsch said the company is making progress on several fronts, including a test this past weekend that carried the first wireless 5G data transfer over millimeter wave using standards-based, production equipment with a mobile form factor device. This test was conducted in Waco, Texas. Qualcomm supplied a smartphone test device based on it Snapdragon X50 5G modem and RF subsystem. Ericsson provided the 5G-NR capable radios which were connected to AT&T's virtual 3X standards compliant core. AT&T plans to use millimeter wave spectrum for 5G in dense, urban environments. 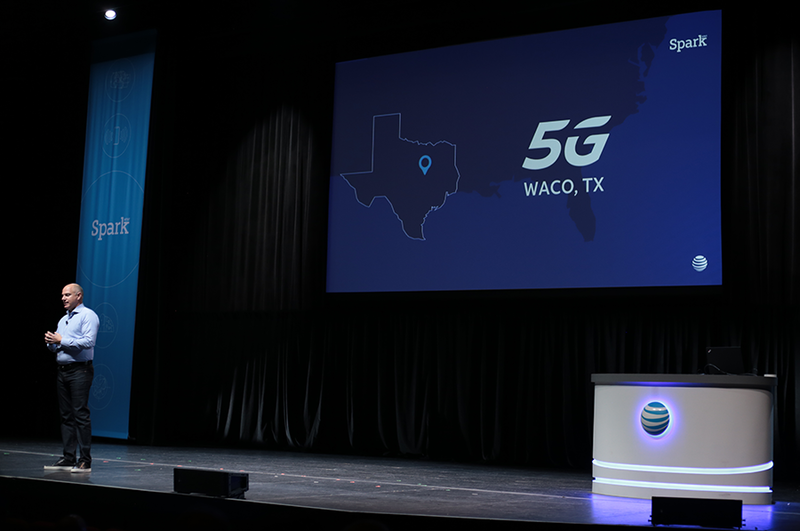 In suburban and rural areas, AT&T will deploy 5G using its mid and low-band spectrum holdings. AT&T has also begun testing LTE and 5G using Citizens Broadband Radio Service (CBRS) spectrum. AT&T has selected Samsung to provide CBRS compliant radios and base station equipment. CommScope was selected as the Spectrum Access System (SAS) provider. Lab testing is expected early in 2019 with field trials later in the year. Fuetsch also announced progress on Project AirGig, an effort first announced two years ago that aims to use the electrical power grid for delivering broadband service. Fuetsch said AT&T has discussions underway to commercialize the technology. A trial with Georgia Power uses mmWave and LTE to deliver fixed wireless access to rural residents at rates up to hundreds of megabits per second. Enabling technologies include low-cost plastic antennas, a radio distributed antenna system (RDAS), mmWave surface wave launchers and inductive power devices. 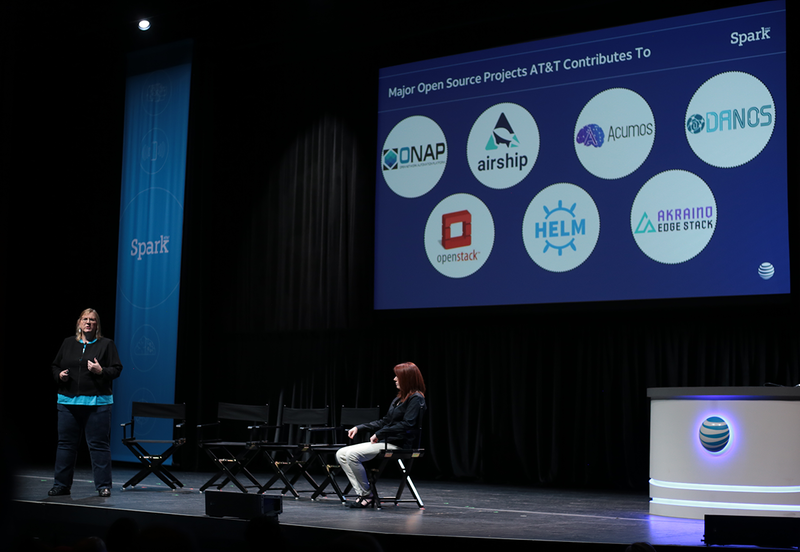 AT&T's involvement in the open source community was also highlighted at its Spark event, especially its contributions to the Akraino, ONAP, and OpenStack projects. The Akraino project seeks to create an open source software stack supporting high-availability cloud services optimized for edge computing systems and applications. A demo at the event showed a tablet application delivering visibly better responsiveness when connected to an edge data center rack compared to a distant cloud server. T-Mobile cranks up 600 MHz LTE across U.S.
T-Mobile has now lit up 600 MHz (Band 71) Extended Range LTE in 1,254 cities and towns in 36 states, including the island of Puerto Rico. T-Mobile said its Extended Range LTE signals travel twice as far from the tower and are four times better in buildings than mid-band LTE, providing increased coverage and capacity. The Un-carrier has already deployed Extended Range LTE to more than 80 percent of Americans with 700 MHz (Band 12), and rapidly began deploying it with 600 MHz (Band 71) last year to expand coverage and capacity even further. Verizon completed an end-to-end call with a smartphone form factor test device on a commercial 3GPP 5G New Radio (NR) network. The test, which occurred in Minneapolis, MN, used a prototype smartphone powered by Qualcomm's Snapdragon X50 5G modem and RF subsystem silicon and network infrastructure supplied by Ericsson. The transmissions were completed over Verizon's 39 GHz spectrum and an Ericsson millimeter wave radio through the Ericsson non-standalone Option 3x core. "This latest demonstration is significant because it took place over commercial 5G NR network equipment to a test device in the form factor of the handheld devices our customers will eventually use on our 5G network," said Bill Stone, vice president, Technology Development and Planning for Verizon. " Verizon and Nokia announced another 5G milestone: completion of the first over-the-air, end-to-end data transmission on a commercial 3GPP 5G New Radio (NR) network in Washington DC. The signal was carried over commercially deployed Nokia radio equipment and Verizon’s millimeter wave spectrum and 5G network core to a Nokia test van parked in downtown Washington. Verizon and Nokia announced a 5G milestone: the first successful transmission of a 3GPP New Radio (NR) 5G signal to a receiver situated in a moving vehicle, seamlessly handing off the signal from one radio sector to another. The test, which took place at Nokia’s campus in Murray Hill, NJ, used two 5G NR radios on a Nokia building and a third radio/receiver in a vehicle outfitted with equipment to measure transmission statistics. The transmission used 28 GHz spectrum. Seamless 5G NR Layer 3 3GPP-compliant mobility handoffs were achieved between the two sectors (intra-gNB and inter-DU). Nokia and Sprint will showcase a 5G New Radio (NR) connection over a dual mode-capable Massive MIMO radio at this week's Mobile World Congress Americas in Los Angeles. The companies will use Sprint's 2.5 GHz spectrum, Nokia's commercial AirScale Base Station and Massive MIMO Active Antenna, and a VIAVI TM500 5G test device emulator. Sprint plans to use its 2.5 GHz spectrum along with Massive MIMO technology for its mobile 5G launch in the first half of 2019. The live 5G NR system connection uses a Massive MIMO Active Antenna and can support up to 120 MHz of spectrum in 2.5 GHz. The Nokia AirScale Massive MIMO Active Antenna is expected to deliver up to 3 Gbps peak downlink throughput for a single sector over 5G and LTE simultaneously using Sprint's spectrum. This enables Sprint to offer both 4G LTE and 5G on the same radio. Sprint is deploying Massive MIMO antennas as it prepares for a 5G rollout in the first half of 2019. Sprint expects to deploy thousands of Massive MIMO radios in 2018 and 2019, significantly increasing network capacity for millions of customers across the country. Specifically, Sprint will deploy 64T64R (64 transmit, 64 receive) Massive MIMO radios using 128 antennas from Ericsson, Nokia, and Samsung Electronics. The Massive MIMO radios from all three suppliers are software-upgradable to 5G without additional tower climbs. The Massive MIMO radios support split-mode service, enabling Sprint to offer both 4G LTE and 5G on the same radio. Sprint customers using a 2.5 GHz (band 41) device in Chicago, Dallas and Los Angeles will begin seeing a significant bandwidth boost on the existing network in April thanks to the new equipment. Massive MIMO deployments in additional markets including Atlanta, Houston and Washington, D.C. are planned for later this year. Sprint noted that it has 204 MHz of spectrum and more than 160 MHz of 2.5 GHz spectrum in the top 100 markets, giving it enough capacity to operate LTE and 5G simultaneously over 100-200 MHz on the same Massive MIMO radios. Intel has acquired NetSpeed Systems, a start-up based in San Jose, California, for its system-on-chip (SoC) design tools and interconnect fabric intellectual property (IP). Financial terms were not disclosed. Intel said NetSpeed’s highly configurable and synthesizable offerings will help it more quickly and cost-effectively design, develop and test new SoCs with an ever-increasing set of IP. NetSpeed provides scalable, coherent, network-on-chip (NoC) IP to SoC designers. NetSpeed’s NoC tool automates SoC front-end design and generates programmable, synthesizable high-performance and efficient interconnect fabrics. The company was founded in 2011. The NetSpeed team is joining Intel’s Silicon Engineering Group (SEG) led by Jim Keller. NetSpeed co-founder and CEO, Sundari Mitra, will continue to lead her team as an Intel vice president reporting to Keller. “Intel is designing more products with more specialized features than ever before, which is incredibly exciting for Intel architects and for our customers. The challenge is synthesizing a broader set of IP blocks for optimal performance while reining in design time and cost. NetSpeed’s proven network-on-chip technology addresses this challenge, and we’re excited to now have their IP and expertise in-house,” stated Jim Keller, senior vice president and general manager of the Silicon Engineering Group at Intel. Deutsche Telekom announced plans to increase its fiber-optic build-out in German business parks next year. A further almost 19,000 enterprises will benefit from this fourth tranche of the fiber-optic build-out to business parks. 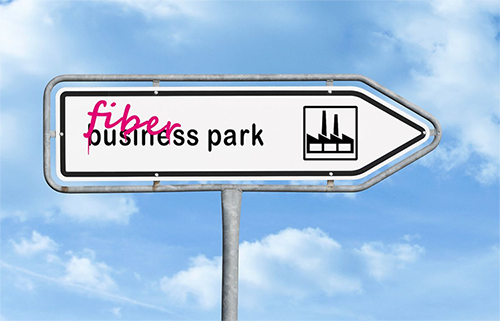 With fiber connectivity Deutsche Telekom will then offer the businesses top-speed Internet connections of up to 1 Gbps. Deutsche Telekom said it is using micro-trenching technology for the build-out in business parks. "The digitalization of the economy is an opportunity and a challenge for Germany. The basis for the successful implementation of this is comprehensive broadband coverage. We are aware of this, and we are accelerating fiber-optic build-out for business parks in particular. We are continuing to push forward with broadband build-out on a huge scale, including 100 business parks this year. We are now moving into the pre-marketing phase for a further 103 business parks in a fourth wave of expansion," says Hagen Rickmann, Director for Business Customers at Telekom Deutschland. "No one in Germany is building more than Deutsche Telekom, and we don't just focus on major cities; the needs of rural areas are just as important to us. 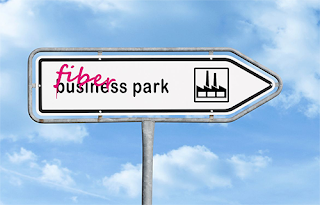 The build-out continues, and our goal for 2022 is to connect 3,000 business parks across Germany to our fiber-optic network (FTTH)," continues Rickmann. Tele2 Netherlands has deployed Ciena’s WaveLogic Ai coherent optical solution to increase the capacity of its network, lower operating costs and support a tremendous increase in mobile video data traffic driven by Netflix and YouTube. Tele2 Netherlands services both domestic and large enterprise customers, and manages a portfolio of fixed telephone, mobile phone, broadband and digital television products. 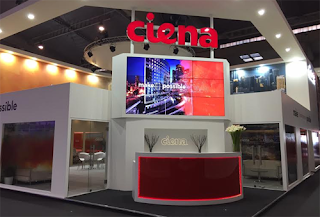 Ciena said its 6500 packet-optical platform powered by WaveLogic Ai, the industry’s first programmable coherent modem that can scale to 400Gbps per wavelength, enables Tele2 Netherlands to deploy 300G and 400G wavelengths across most of its existing network. In addition, Ciena’s WaveLogic Ai provides Tele2 Netherlands new levels of intelligence and visibility into the network so it can adapt and make autonomous decisions to improve performance. “Our customers are constantly on the move, and making sure they are connected, be it via email, the web, social media, navigation or any other application, is our top priority. With Ciena’s WaveLogic Ai technology, we can support our customers today and seamlessly scale for future applications,” stated Meile de Haan, CTO, Tele2 Netherlands. “Service providers around the world are taking significant steps to address their customers’ growing appetite for cloud-based services and mobile data, and Tele2 Netherlands is no exception. With WaveLogic Ai they can increase capacity, monitor, control, and ensure the network can adapt to accommodate changing user demands,” said Frank Miller, CTO EMEA, Ciena. Ruckus Networks announced it is the first technology provider to achieve FCC certification for Citizens Broadband Radio Service (CBRS). CBRS is 150MHz of the 3.5GHz band (3550MHz to 3700MHz) made available by the FCC for commercial use through a spectrum-sharing framework. 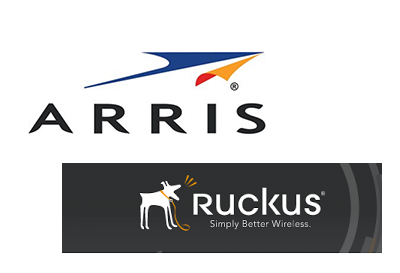 The certification covers Ruckus' entire portfolio of 3.5 GHz access points under its OpenG brand, including indoor and outdoor access points, element management system, cloud-based evolved packet core, and cloud-based spectrum allocation. "This major milestone is one of the final stages before CBRS commercial deployments are made possible," said Ian Whiting, President of Ruckus Networks. "As a leading network provider, we are enabling organizations to deploy and manage a private LTE network, as easily as deploying a Wi-Fi network. Our OpenG LTE portfolio enables customers across a variety of different verticals to take advantage of this spectrum." 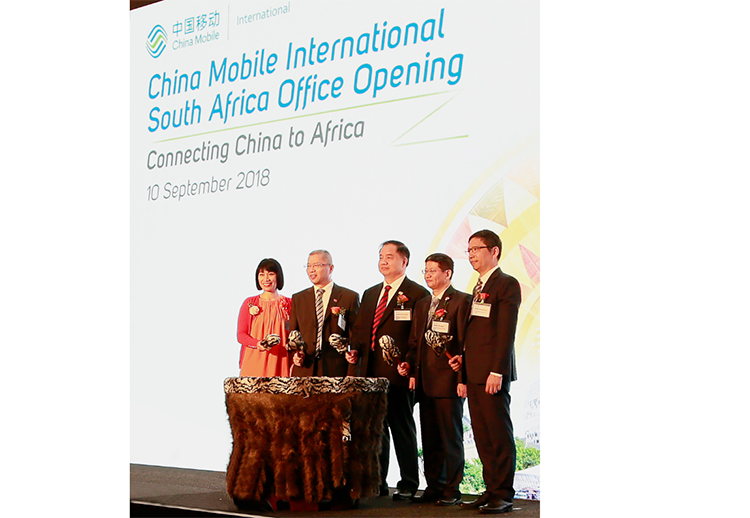 China Mobile officially opened an office in Johannesburg, South Africa. China Mobile International also signed a MoU for strategic alliance relationship with MTN Group. The two companies will collaborate on international business expansion, international transmission interconnection and network resources sharing etc. The MoU takes CMI one step closer to meeting its goal of an interconnected world that includes Africa.